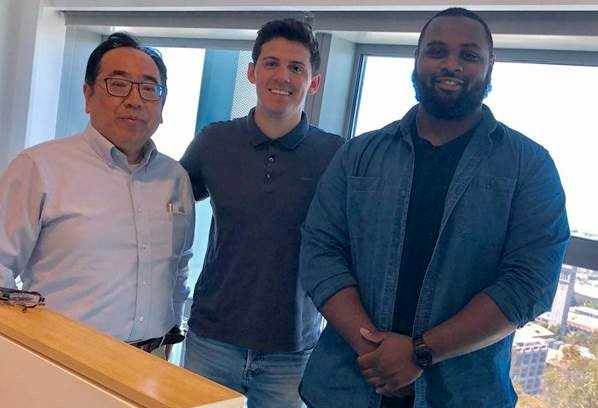 Dr. Masa Watanabe, along with two bright USM chemistry scholars, Branden Sánchez and Zach Douglas, had the opportunity to participate in the highly-competitive U.S. Department of Energy (DOE) Visiting Faculty Program in Berkeley, Calif., this summer. For 10 weeks, the group worked alongside some of the world’s top research scientists to utilize computer simulations to reproduce the behavior of biomolecule using a mathematical model. They developed a novel computational method to simulate biomolecules more efficiently to solve many fundamental problems of theoretical and practical molecular biology and medicinal chemistry. Berkeley Lab is a multidisciplinary national laboratory sitting atop a hillside directly above the campus of the University of California at Berkeley. It is home to 13 Nobel prizes, with 70 lab scientists inducted into the National Academy of Sciences (NAS)—one of the highest honors for a scientist in the United States. Thirteen of the lab’s scientists have won the National Medal of Science—the nation’s highest award for lifetime achievement in fields of scientific research. On top of this, three of Berkeley Lab’s scientists have been elected into the Institute of Medicine.